Take some time to stop by and worship with everyone here at Berea Baptist Church. God Bless you all! Our Minister of Music is Mr. Chris Thomas. He holds a B.S. 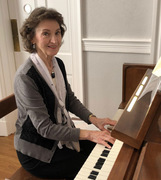 in Education from Northwest Missouri State University with a major in vocal music,, and also holds a Master's Degree in Religious Education and Church Music from Midwestern Baptist Theological Seminary. He is the husband of the lovely Debbie Thomas and loves spending time with his adult children and 7 grandchildren. Chris has over 20 years of Church Music ministry experience and has also been a chorus teacher in Powhatan County Public Schools for the past 15 years. He is a committed Christian, a frequent soloist, and loves to lead the Adult Choir and the worship services here at Berea. Please make it a point to come get to know Chris and his love for the Lord! Sharon Condrey is our Family Ministry Leader. She received a Bachelor’s of Science in English Education from Virginia Commonwealth University. Currently attending the Baptist Theological Seminary at Richmond, she is pursuing a Master of Divinity degree with an emphasis in Christian Education Formation. 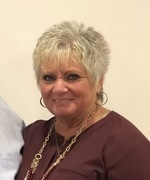 She is married to Wade Condrey, who grew up as a member of Berea Baptist Church and brought her to the church when they moved to Montpelier in 2000. They have two daughters, Stephanie and Paige. Knowing the joys and challenges of family life, Sharon’s passion is in partnering with parents to guide children toward discovering and developing a personal relationship with God. 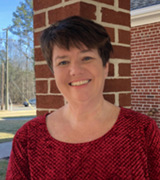 Andrea Hollins has been the Administrative Assistant/Secretary for Berea Baptist Church since July 5, 2005. Originally from Varina, she now lives in Louisa County with her husband Tim, and their three sons, Dillon (26), Cole (21), and Griffin (15). When she's not watching one of her boys at a football game, baseball game, or a track meet she likes to read and work in the yard. Would you like to use our facilities? Please share the details of your event (number of guests, timeframe, special needs, contact information) and what facilities you want to use. We look forward to speaking with you soon.